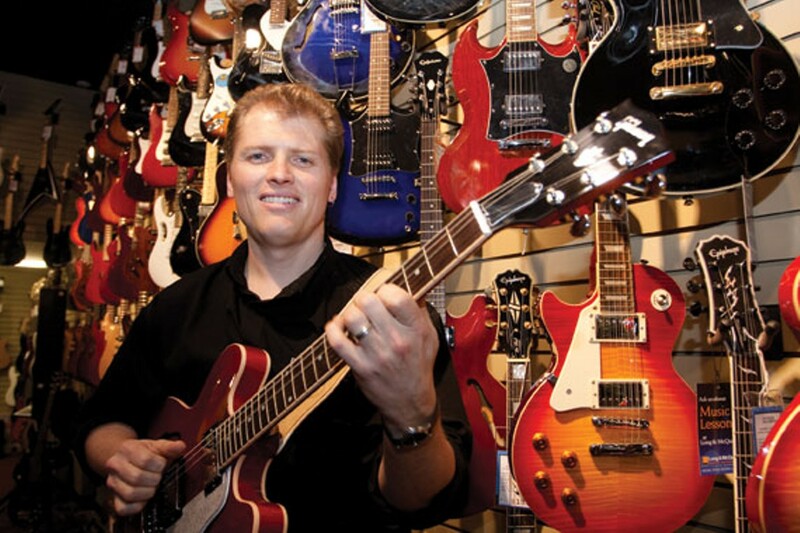 Now firmly ensconced in the local scene---the Canada-wide instrument supply business scooped up The Music Stop last year and has two more locations in Dartmouth and Bedford---they've made their presence felt. "The rental rates that L&M offer are way groovier than anyone in the business across Canada... it's been really busy, man," says Johnny Parker, branch manager of the Cunard store. "September was particularly high-tempo." With rentals such a prominent part of the business, they work hard to keep that in the forefront of customers' minds. "Instead of a sales flier we put out a rental flier," says Parker. Anyone who has been visiting the store, or even walking by of late, has seen the multitude of changes going on there. "It's an old building," explains Parker, and needing of plenty of work. An exterior wall on Cunard once covered with a mural had moisture problems and had to be replaced. Customers will also find a much more conducive space inside. "We did right green-wise for the money and to get on David Suzuki's Christmas card list," says Parker of the energy-efficient changes, though he admits, "anyone who's lived through a renovation, whether it's a bathroom or something bigger is always happy to see the end of it." Coming up in the month ahead, Long & McQuade will host clinics by harmonica player Brendan Power (November 10) and loud-guitar icon Gordie Johnson (November 14) who will talk about Canadian-made Traynor Amplifiers in advance of a Grady show at Coconut Grove.